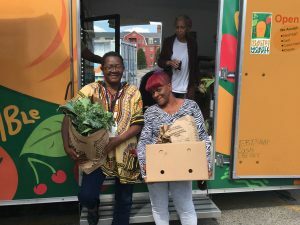 FRESH, AFFORDABLE FRUITS & VEGGIES!Every Friday, 1–3p in the Old Kroger Parking Lot954 E McMillan, Walnut Hills 45206Buy $20 of Produce, Get $20 FREE with your EBT card. Dollars are matched by Produce Perks.Mobile market courtesy of Freestore Foodbank and TriHealth. Caffe Vivace, 975 East McMillan St.